Yeah, I admit it, I like puns. I’m a punny guy. Sometimes even funny. But pun or no, there is plenty of truth in this analogy. Like sailing across choppy waters, writing is often filled with ups and downs of various kinds. One thing almost sure to send even the most seasoned writer down is the dreaded rejection, be it from producers, commissioners, screenwriting contests or even the audience. From my own experience, bad feedback, rejections and not getting those jobs at the BBC I’ve interviewed for have knocked the wind right out of my sails repeatedly, sending my spirits and my confidence sinking. Right to the bottom. I’ve seen writers become so dejected from a bad review (or worse, several), that they’ve been unable to write for days. So, what do you do? Abandon ship or stay the course? Or do you change course? But let’s steer this seemingly incessant nautical metaphor in a slightly different direction, namely the knowing your craft bit. Because like in sailing (or so I’m told, I’ve never really sailed to be honest), it can prove a lifesaver if you know your craft. Feedback, whether it’s positive or negative, is there to be dealt with, and even a simple no can prompt you to look with fresh eyes at your writing. Once you’ve finished crying, or drowning your disappointment in alcohol. And that is the moment where knowing your craft, knowing the tools of writing, of scene construction, of character psychology and so many more are invaluable. Those tools will allow you to judge the value of the feedback you’re given, or evaluate how justified that ‘no’ was. It may even help you find out if that ‘no’ is actually a ‘not yet’ instead of a ‘hell, no’. They’ll allow you to engage with the feedback, to process what works with your story and your vision of the story. One of the key things to remember – and it’s oh so easy to forget – is that feedback, even from a seasoned pro like me, is one person’s view of what you’ve written. They may have misinterpreted what you’ve written, for instance. But you need to use your tools to determine if that’s because they missed something in reading, or you forgot something in writing. Is what’s in your head actually on the page? Another example is when the feedback suggests a solution for a possible problem. It’s up to you to grab your tools, and determine if it’s the right solution, if there may be a better solution, or even if this is the right point in the story to solve the problem (is the problem in the set-up or the pay-off, the chicken or the egg?). Use your tools, your knowledge of your craft to determine where and how to change course in your writing. 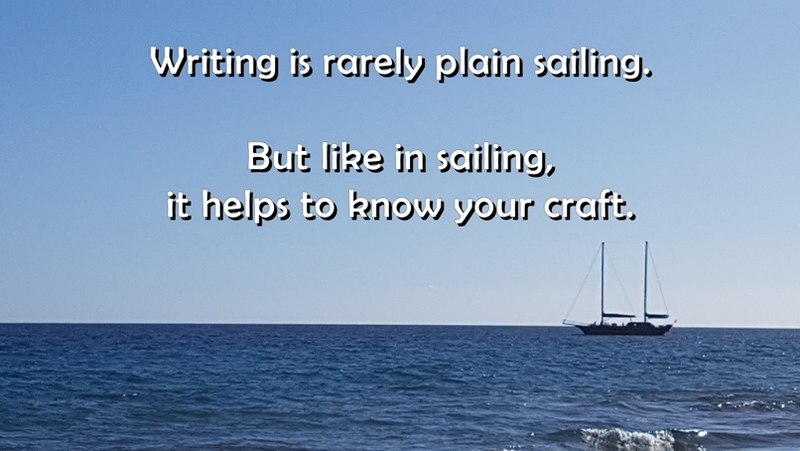 And let’s be honest, wouldn’t plain sailing in your writing be boring? Where’s the drama?